There’s a lot of hype surrounding the Players Championship on the PGA Tour right now. The tournament has been moved up to March, and it will have the largest purse for a single Tour event this year. Yet despite the excitement, it sounds like Phil Mickelson might not be showing up to TPC Sawgrass next month. Phil Mickelson might not be playing at the Players Championship next month. Mickelson, who won at TPC Sawgrass in 2007, is in the middle of a stretch when he is playing five events over six weeks. But the news of the five-time major champion possibly not playing at the Players next month should not come as a huge surprise to golf fans. Late last year, Lefty hinted at cutting back his PGA Tour schedule in 2019 after admitting that the 2018 season took a toll on him. “I’m going to have to start limiting the number of tournaments that I play so that I can play those at a higher level, because I’m getting a little bit more mental fatigue and not able to focus and see the shot as clearly as I’d like for so many weeks in a row,” Mickelson said. For the first time in 29 years, Mickelson did not participate in his hometown event at Torrey Pines in San Diego. He said that the course is not “a good place for him” anymore and was unsure that his game was ready for the Farmers Insurance Open, an event that he has previously won three times at Torrey Pines. Along with the AT&T Pebble Beach Pro-Am, Phil has played in the Waste Management Phoenix Open and Desert Classic so far this year. While he failed to make the cut at TPC Scottsdale, Mickelson finished tied for second at PGA West. 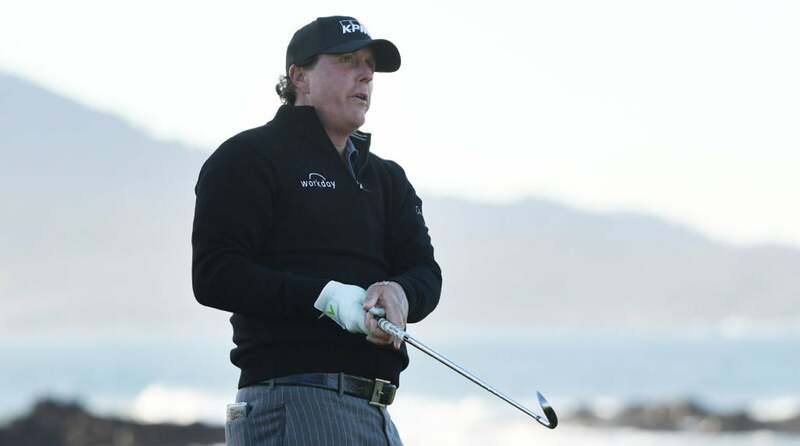 But Lefty has not faired well at the Stadium Course in Ponte Vedra Beach over the last several years, as he has missed the cut in five of the last six years. However, Mickelson has appeared at the Players every year since 2003. Mickelson’s next appearance on Tour is this week at the Genesis Open, and he will be looking to defend his title at the WGC-Mexico Championship next week. But it looks like Mickelson is going to be as selective with setting up his spring schedule as anyone else on Tour.